Corporations based in the U.S. have communicated under-the-radar about the ramifications of the U.K. leaving the European Union. 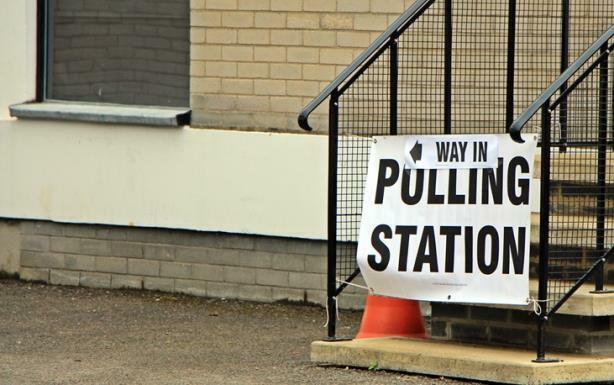 Voters in the U.K. are deciding on Thursday whether their country will leave the European Union. While the battle between the "remain" and "leave" camps was waged across the Atlantic, U.S. companies have prepared their response in case the country decides to depart the E.U. Many polls of British voters are too close to call, including one released on Wednesday showing 51% for remain and 49% in favor of leaving. American companies that have a significant presence in the U.K. are watching the referendum as closely as any British voter. A "Brexit" – slang for a vote to pull out of Europe – could strain ties to the E.U. for American companies that use the U.K. as a stepping stone to Europe. Some observers say it could mean a recession in the U.K. or prompt the renegotiation of trade deals. The business communities on both sides of the Atlantic are in favor of Britain staying in the European Union, notes Stephen Day, U.K. chair of public affairs and government relations at Burson-Marsteller. "There’s been a great deal of interest worldwide," he says. "There is explicit support from all the business community [to remain in the E.U. ], and the American business community is in favor, too." That interest translated to American companies trying to quietly influence the decision. Day says telling voters outright how to vote wouldn’t work, but announcing the possible business repercussions, like layoffs and trade issues, is another way to influence people. This method was used by JPMorgan Chase CEO Jamie Dimon, who earlier this month said a Brexit could affect "as many as 4,000 [jobs]" for his company during a meeting with employees at an English office. "There has been much lobbying by U.S. companies behind-the-scenes and plenty of back-room conversations with government," says Lisa Ross, MD at APCO Worldwide’s Washington, D.C., office. "Just because big brands have been careful not to take a strong stance on the vote publically, they can and have been making noises around the possible dangers of the unknown and pointing out that the impact on businesses and the financial markets could be unprecedented." During a visit to the U.K. in April, President Barack Obama issued an emotional appeal to voters there to stay in the European Union, saying that negotiating another trade deal with the U.K. could take as long as a decade. U.S.-based companies are also prepared for the uncertainty that could follow the vote. If the U.K. decides to leave, the country would have two years to negotiate the terms. Day says many companies have already prepared statements and planned for all scenarios if the U.K. decides to leave. "If there's a Brexit vote, there will be a big move to steady the markets and steady the workers with internal communications in the companies," he adds. "They will want to assure their workers and steady their employees’ nerves. A lot of the hyperbole will be dampened." Once the polls close at 10 p.m. local time, and the final Brexit decision likely becomes clear by early Friday morning, companies on both sides of the Atlantic will need to be ready to respond quickly. If the country votes to remain, very little will change. However, if the U.K. decides to Brexit, the business community will have to prepare for an uncertain future. "It’s not just about how companies have prepared," Ross says. "It’s all about how quickly they can adapt in their response that will define how they weather this potential storm, regardless of the outcome."